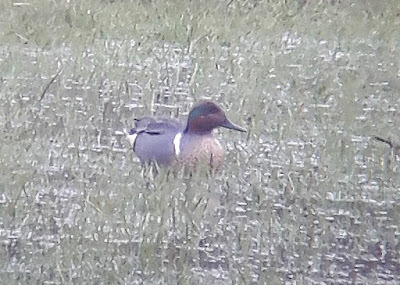 The excitement today came at 16.30 when Chris McNaghten discovered a drake Green-winged Teal on Johnson’s Marsh, only the third record for our area following a drake killed in Scarborough in November 1851 and slightly more recent another drake was on Potter Brompton Carr on 6th-9th March 2014. 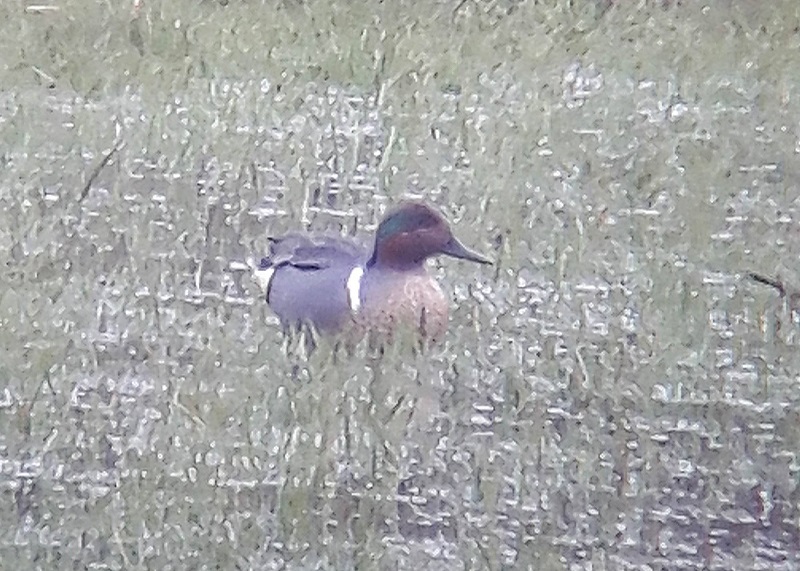 Today’s bird didn’t stay around for long but was soon relocated a little to the north on a flooded field where it stayed for the rest of the afternoon/evening. Also present at this location were 15+ Common Teal, 7 Curlew and 18 Redshanks. Other news today came from The Mere where there were 20 Tufted Ducks, 19 Swallows, 2 Sand Martins, 14 Chiffchaffs, 8 Blackcaps, 2 Willow Warblers and a White Wagtail by the café and at Harwood Dale Lake the best was the 3 Goosanders.